Dollar bulls welcomed some positive news on the state of the US manufacturing sector today. Factory orders rose in line with estimates by 1.8% in the month of June according to figures released by the US Census Bureau. This shows the first expansion in two months in the sector which has experienced a very sluggish first half – largely down to the strong dollar. Markets also welcomed signs that the component related to capital investment remained in positive territory on the month. The core (which excludes volatile categories) rose by 0.5%. The dollar was trading higher against the euro and the yen, and against the British pound – though this came after some high levels of intraday volatility. 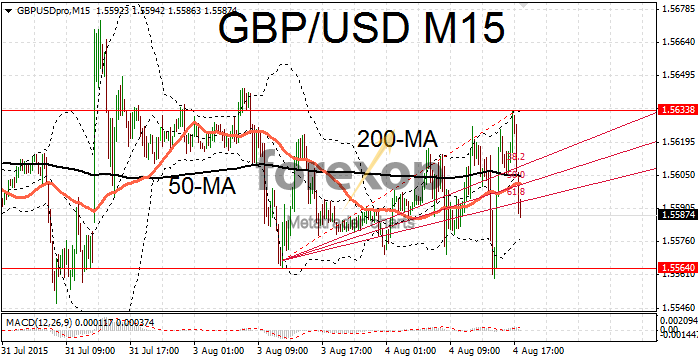 Cable (GBP/USD) was trading towards the top of its range at 1.5635 but a late selloff took the market sharply back down to 1.5582. There was a mixed batch of data on the UK economy during the session. Activity in the construction sector turned out to be lower than expected in July. The forward looking purchasing managers’ index came in just shy of forecasts at 57.1. Overall the sector remains healthy and the four month moving average indicates the sector is expanding – consistent with this point in the economic cycle. 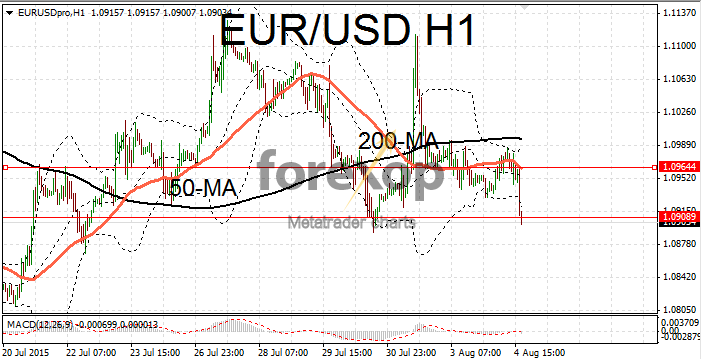 EUR/USD also tumbled late in the session as dollar buying gathered momentum. Traders are positioning bullishly ahead the jobs data due later in the week which is widely tipped to be dollar supportive. The ADP employment report is due on Wednesday and the closely monitored nonfarm payrolls report is out at the end of the week. The first of these reports is expected to show that US private business added 216,000 jobs last month. The official nonfarm payroll – which includes government hiring – is forecasted to show that 220,000 new jobs were added to the US economy last month. We could see large dollar movement either way if the report misses the forecast. 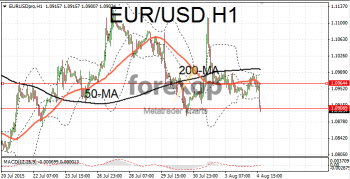 EUR/USD was pulled back below 1.09 after failing to break above resistance at the upper end of the 1.09 range. Support is likely at the middle of the range around 1.0875. USD/JPY also saw a late bounce and lifted back up to 124.18. The Bank of Japan releases its monetary policy statement on Friday. Also on watch will be the report of leading economic indicators which is scheduled for release on Thursday.